A nutritional supplement is a product that you ingest, containing vitamins, minerals and/or other various nutrients, that helps to enhance and support your diet. They are a 'booster' so to speak, providing your body with a bit of extra help - especially where deficiencies are an issue. Hair needs a variety of different nutrients in order to grow. Hair cells are the 2nd fastest growing cells in the body (2nd only to intestinal cells), yet hair is a non-essential tissue. This means that your body will never send nutrients its way if another part of you is lacking, and is usually one of the first things to suffer when there is even a slight imbalance or deficiency in the body. A well-balanced diet helps ensure you get all of the vitamins and minerals you need for healthy hair cell proliferation, however, metabolism and nutritional needs vary among individuals. Furthermore, stressful lifestyles and hectic day-to-day responsibilities often make it challenging to eat a nutritionally balanced diet all the time, as do dietary restrictions, illness, pregnancies and vegan/vegetarian diets. As well as this, stress and eating foods that have been overly processed can actually impede the absorption of certain nutrients, and even lower the existing levels in your body. Unfortunately, and again because your hair is a non-essential tissue, hair is also usually the last thing to benefit from improvements to the diet and so supplements can be extremely helpful. As hair grows only half an inch per month it can take over 2 months for supplements to have a visible beneficial effect on your hair. Because of this, people often get frustrated by taking them, and stop. But try not to - perseverance and patience do pay off, and within 12 weeks you should see a definite benefit to your hair. If you would like to see some testimonials, please take a look at our amazing PK4 reviews. Our new TRICHO COMPLEX supplement contains an exceptional mix of vitamins and minerals that work together to provide your body with the fuel and nutrients it needs to support optimum hair growth. 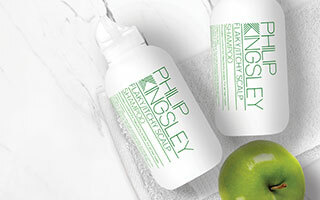 It is inspired by a unique combination of vitamins and minerals prescribed on a daily basis at the Philip Kingsley Trichological Clinics and includes L-Lysine, Methionine, Iron, Copper and Selenium, as well as Vitamin D3,Vitamin C and the B Complex Vitamins B12, Biotin and Pantothenic Acid. PK4 , the best-selling Philip Kingsley supplement, is a nutritional supplement containing Soya Protein - a source of essential amino acids. Amino acids are the building blocks of the protein that hair is made up of, called Keratin. The amino acids in the capsules are absorbed by the hair follicle during the anagen phase of the hair growth cycle to help boost and support healthy hair growth. TRICHO COMPLEX and PK4 Hair can be taken together for optimum benefits. TRICHO COMPLEX is a multi-vitamin and mineral supplement, where as PK4 is purely a protein supplement. PK4 is therefore a more concentrated form of amino acids, whereas TRICHO COMPLEX has more ‘universal’ benefits. They are especially effective when used together where hair loss as a result of inadequate dietary protein is an issue, and/or when excessive daily hair shedding is present. Deficiencies in any vitamins, minerals or protein contained within TRICHO COMPLEX and PK4 have the ability to result in thinning of the hair and/or excessive hair loss. 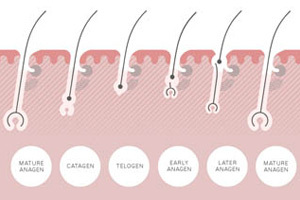 Hair cells are one of the most prolific cells in the human body, yet biologically, hair is a non-essential tissue. This means that any nutritional deficiency is likely to show up in the form of increased hair shedding and/or hair not growing past a certain length. 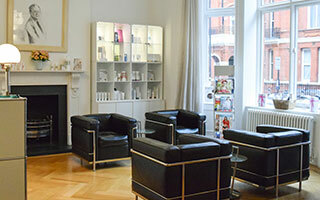 If you would like more information, our clinics based in London and New York specialise is hair and scalp treatments.